Every year, the Australian Catholic Migrant and Refugee Office (ACMRO) releases a Migrant and Refugee Kit in time for Migrant and Refugee Week and Migrant and Refugee Sunday, containing a number of useful resources for parishes. This year, Migrant and Refugee Week runs from 22nd to the 28th August, culminating in Migrant and Refugee Sunday on the 28th August. ACMRO have already made the 2016 Kit available to download (free of charge) from their website, though it is to be officially launched in South Australia on the 19th August. 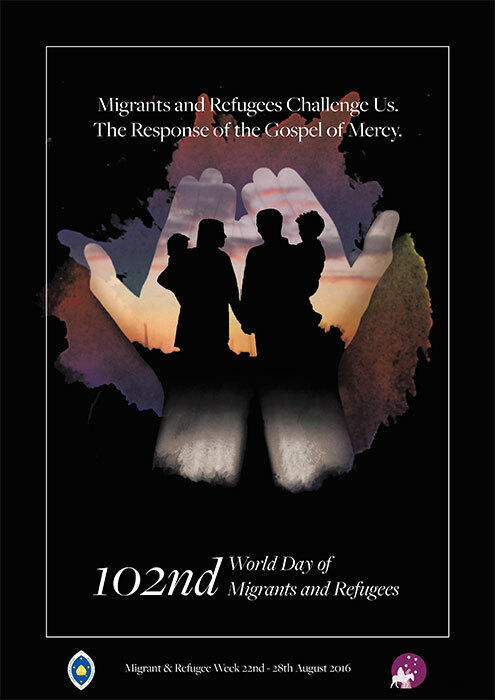 The Kit that ACMRO have put together this year contains Pope Francis’ Message for Migrant and Refugee Sunday, a message from Bishop Vincent Long Van Nguyen, Bishop Delegate to the ACMRO, and additional information and resources that parishes can use during the week and on Migrant and Refugee Sunday. The 2015-16 Social Justice Statement from the Australian Catholic Bishops Conference (ACBC), “Those who’ve come across the seas: Justice for refugees and asylum seekers,” is also worth reading in view of the upcoming week. The Statement addresses the very topical issue of those refugees and asylum seekers attempting to reach Australia’s shores, and the treatment, by all Australians, of those who already have. Read the 2015-16 Social Justice Statement here, and download the ACMRO Migrant and Refugee Kit for 2016 here.